Black Dog & Leventhal Publishers, 9781579128463, 232pp. 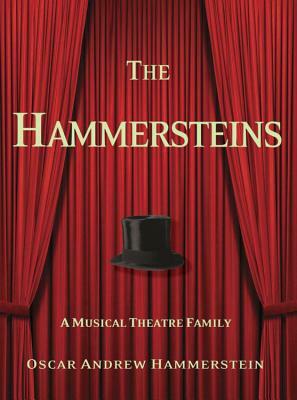 The Hammersteins is the story of one of Broadway's most creative and productive families. It is a story that begins in 1864 when Oscar Hammerstein I emigrates to America, establishes himself as a successful cigar merchant and turns his attention to the business of music and theaters. He builds many theaters including New York's most majestic opera house. He turns Times Square (then Longacre Square) into the theater capital of the world. His sons, Willie and Arthur carry on the tradition and nurture such talents as Will Rogers, W.C. Fields, Al Jolson, Houdini, and Charlie Chaplin. Willie's son Oscar II becomes the most successful lyricist of all time, writing the story and words to the Broadway shows Showboat, Oklahoma, South Pacific, Carousel, The King and I, and The Sound of Music. The accomplishments of this family are monumental. Their tale is enchanting. Written by Oscar "Andy" Hammerstein (Oscar II's grandson), TheHammersteins presents a multi-layered portrait of the Hammerstein legacy, complete with personal and professional highlights, as well as the scandals and tragedies. The book also draws heavily upon the family archives, presenting a rich collection of photographs, theatre blueprints, letters, programs, patents, and more, much of which has never been seen before. The Hammersteins is at once a deeply personal story of an American family living the American dream and a celebration of musical theater in this country. Oscar Andrew Hammerstein III is a painter, writer, lecturer, and family historian. He has devoted much of his life to studying and preserving his family's heritage and their contribution to American culture. He lectures frequently at universities, institutes, and theatrical and civic organizations on the Hammerstein family's pivotal role in shaping the development of musical theater and popular entertainment in this country from the 1860's to the present. He is an adjunct professor at Columbia University, teaching graduate level New York City theater history.